Geochemical records from peatlands are important tools for the interpretation of environmental signals preserved in the peat and the understanding anthropogenic impacts on remote mountain regions. 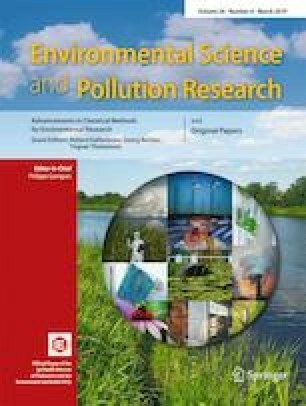 In this paper, six 210Pb-dated peat cores located at 500–1900 m above sea level (asl) in the Changbai Mountains were used to reconstruct the pollution history over the past 150 years in northeastern (NE) China. The cores physicochemical parameters and 10 key chemical elements were analyzed by inductively coupled plasma atomic emission spectroscopy (ICP-AES). Results from loss on ignition (LOI), total organic carbon (TOC), and lithogenic element (Ti, Fe, and Mn) analysis show that the peatlands (Ch, Yc1 and Jb) over 900 m asl are ombrotrophic and the lower altitude peatlands (Dng, Jc, and Ha) are minerotrophic. There is a decreasing trend of trace element distribution with the altitude, mainly due to the local source input. The content of the magnetic particles and trace elements (Cu, Ni, Pb and Zn) as well as their accumulation rates document 150 years of pollution history in the Changbai Mountain region. There is a significant elevated pattern of the geochemical records after the New China, which might mark the start date of Anthropocene since the 1950s in this region. The peatlands at the lower altitude (i.e., Dng and Ha) record the earliest fingerprints of metal contamination due to the starting period of massive reclaiming and immigrating in the Changbai Mountain region. The major increase of trace elements since the 1980s probably suggests a significant deterioration of the local environment due to the fast industrial and urbanization development after the Reform and Opening up in China. The online version of this article ( https://doi.org/10.1007/s11356-019-04138-w) contains supplementary material, which is available to authorized users. We would like to thank Dr. Steve Pratte and Dr. Lydia Mackenzie for their useful comments and excellent language polishing. We are also grateful to two anonymous reviewers and the editors for their constructive comments that helped to considerably improve the quality of the manuscript. This work was financially supported by the NSFC-Belmont Forum Joint Research Project (no. 4166114404), the NSFC-CNRS Joint Research Project (no. 41611130163), and the NIGLAS Cross-functional Innovation Teams (no. NIGLAS2016TD01). Wei Xing is grateful to the Nanhu Scholars Program for Young Scholars of Xinyang Normal University.